In the Spring of 2014, I led a private photo tour with clients in southern Spain, mainly Andalusia and Catalunya. We began the trip in Seville – an incredibly beautiful, historic and photogenic city. 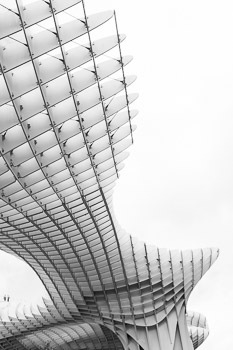 This image features the Metropol Parasol, which you can walk around the top of. The scale of the structure is evident by the people at bottom left, whom appear tiny in comparison. Fine art prints are available. Click the image or click here for a larger preview and online ordering. Urban photograph made in Dubrovnik, Croatia. 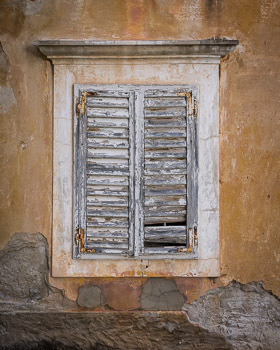 Dilapidated shutters with peeling paint conceal a window in the crumbling wall of an old building. Prints available; click the image or click here for a larger preview. 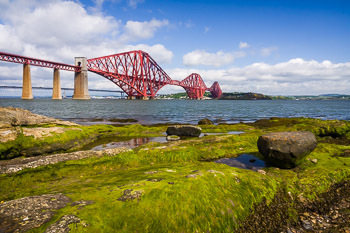 The Forth Bridge is a cantilever railway bridge over the Firth of Forth in the east of Scotland, 9 miles west of central Edinburgh. It was opened on 4 March 1890 and spans a total length of 8,296 feet. Fine art prints available; click the image or click here for a larger preview. 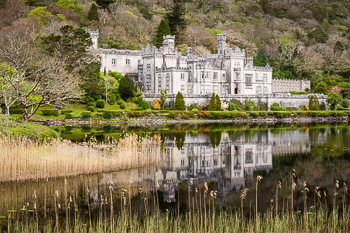 Kylemore Abbey is a Benedictine monastery founded in 1920 on the grounds of Kylemore Castle, in Connemara, County Galway, Ireland. The abbey was founded for Benedictine Nuns who fled Belgium in World War I. Construction was completed in 1871; it was originally built as a private home for the family of Mitchell Henry, a wealthy doctor from London whose family was involved in textile manufacturing in Manchester, England. Fine art prints of this image are available in any size and on any material. Click the image or click here for a larger preview. 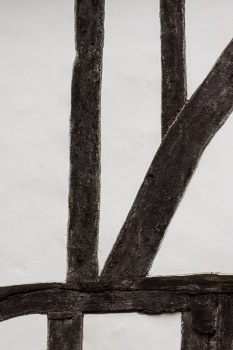 Section of a wall in a half-timbered house, built in York during the medieval age, reveals graphic lines and shapes in stark contrast. Color image; also available in black-and-white. Prints available in any size and on any material. Click here or click the image to see a larger preview. 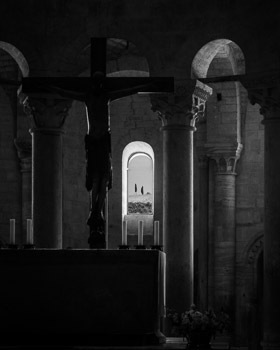 Black and white photograph depicts the interior of the Abbey of Sant’Antimo with a view of the Tuscan landscape outside. This former Benedictine monastery is in the comune of Montalcino, Tuscany in central Italy. Prints are available in any size and on any material. Click here or click the image for a larger preview. © 2019 Nat Coalson Ltd.